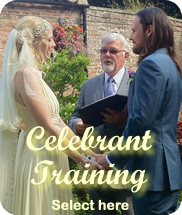 This ceremony is for any married couple who wish to celebrate renewing their marriage vows in a unique and personal ceremony with family and friends. It may be an opportunity to commemorate a special anniversary, such as 10th, 25th, 40th or 50th, but the ceremony is just as appropriate at any stage of marriage. Look closely - do you recognise the Celebrity? 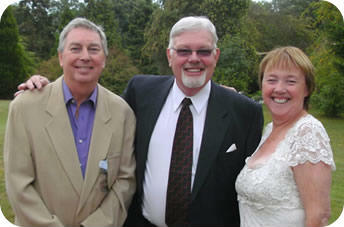 You may be assured of a wonderful ceremony, created exactly the way you would wish.